New Delhi (Syndicate Features): No pleasantries to exchange and no truth to be told. One man, Saleem Shahzad is dead today and mysteriously buried under tons of mud leaving behind a wife with three kids and thousands of mourners. Another man, Ilyas Kahmiri, is reported to have been killed by a drone attack, but his family seeks proof of his death. I do not intend to draw any comparison, but I still see some contrasting notions the way the society judges both men at the moment. Saleem, a brave and courageous journalist, has been murdered in the line of duty in a country which has been declared “the most dangerous place for journalists” by press freedom organisations. A true “martyr” he is who died in his pursuit of truth, which many will agree is “jihad”. A true “martyr” he is who died in his pursuit of truth, which many will agree is “jihad”. 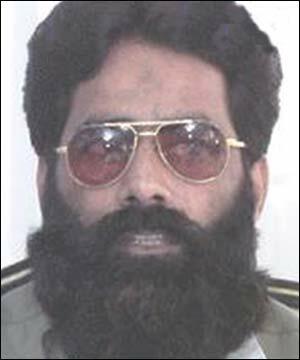 Ilyas Kashmiri is one of the most wanted men after Osama bin Laden (OBL). The US administration has safely refrained from confirming his death; whereas Pakistan’s prime minister, without having given any second thought, has confirmed this death. Like Kashmiri’s family, many in Pakistan have faith in his Jihad (holy war) which he has been fighting against India and now Pakistan; and would always remember him as a martyr like OBL. In a country like Pakistan, where the majority feels pride in OBL’s knacks of scaring the world and believes in his ‘eternity,’ many Saleems will be forgotten. Last week, the National Public Radio (NPR) from the United States did some stories to gauge the passion and views of Pakistanis on OBL. What struck me about the results was that hardly few believed that he was dead or could be killed. Who therefore killed Saleem Shahzad? Who silenced the man who had always fought the ‘holy’ war with his pen and brought the truth about the PNS Mehran attack to the world. All Pakistani fingers seem to point towards the dreaded ISI, which they say doesn’t seem to have learnt to cope with truth as yet. All Pakistani fingers seem to point towards the dreaded ISI, which they say doesn’t seem to have learnt to cope with truth as yet. The memories of Hayatullah Khan, another press freedom martyr, are still fresh in the mind. It served as an eye-opener and was one of the first exposures to the horrors the agencies bring to a truth-seeker’s life. Hayatullah’s revelation that an Al-Qaeda commander named Abu Hamza Rabia with other people was killed in a drone attack, was a reason strong enough for the ISI to eliminate him in 2006. Today, the drones’ have become an accepted reality of Pakistan, despite all protests and hate speeches against the US. The drone attacks still violate the so-called sovereignty of Pakistan, but elimination of terrorists like Kashmiri boost the strategic alliance of both the countries. The ISI has been progressively virulent and many Hayatullahs and Saleems have tasted the sting. Today, Ilays Kashmiri’s unconfirmed death is a boost to Pakistan’s intelligence, but it still cannot hide the embarrassment the OBL operation and the Mehran attack have brought to them. It is a sinister fact that all attempts to control and monitor the ISI by any civilian government and all demands for its accountability have been silenced. Anyone who gets to the bottom of what the agencies are planning and performing under the popular theme of “national interest” are people like Hayatullah or Saleem. Only lucky victims like Umar Cheema get to live and relate their painful memories of torture and a persistent fear for the rest of his life. In sheer frustration and hopelessness, what still amazes me is the fanatic absurdity and constant thirst for censorship of those who know how gigantic media has grown. Tweets are re-tweeted, statuses are shared, and bloggers blog endlessly; and in case of censorship, different proxies are used to access websites and blogs. In the nutshell, truth surfaces and resurfaces in all colours and shapes. Now the concepts of social media and citizen journalism have awakened a little watchdog in everyone who keeps an eye on the happenings. But Pakistan still manages to be among the countries where unlimited and unaccountable powers of institutions infringe freedom of speech and right to information. I support any demand for an inquiry into Saleem’s killing, but I have failed to convince myself on who has the power to hold the agencies accountable. The ISI chief should appear in the Court to explain his position. This entry was posted in AfPak region, ISI, Journalists, News, Saleem Shahzad. Bookmark the permalink.